Idaho residents have the benefit of enjoying four different seasons throughout the year. In the winter months, the state can be snowy, especially in the northern regions. And in the summer, there can be heavy rainfall. Protect your home or office from inclement weather with a metal roof. Environmentally friendly, our roofs are crafted using over 50% of recycled metals. Strong and durable, metal roofing material can withstand high winds of speeds of as much as 120 mph. Cost-effective, your investment is assured with our 30 to 50 year warranty which is offered with most of our products. Finally, quality made and well-constructed, you’ll enjoy a reduction in your energy bills for both heating and cooling costs. Therefore, many of our styles easily qualify for the EnergyStar tax credit. For metal roofing supplies anywhere in Idaho, contact us and see how much money we can save you! We offer a wide selection of metal roofing products including different applications and colors to meet your project needs. 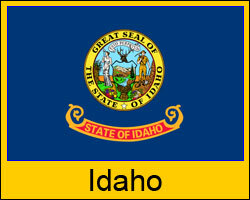 Our company services Boise, Idaho Falls, Lewiston and all of its surrounding areas, and our listed prices are valid for any area within the state (although some shipping restrictions do apply). Click here for details on shipping to your job site. Looking for metal roofing in Idaho?